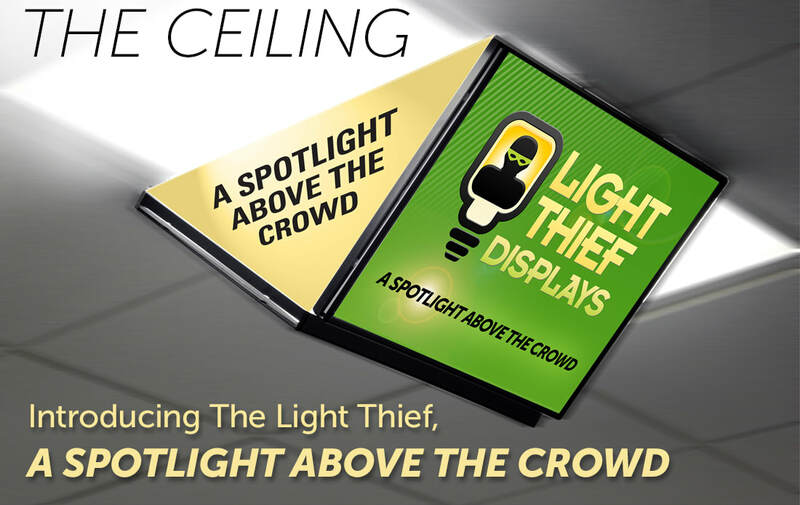 With a FULL 360 DEGREES of viewing THE LIGHT THIEF can be seen from anywhere in the store. 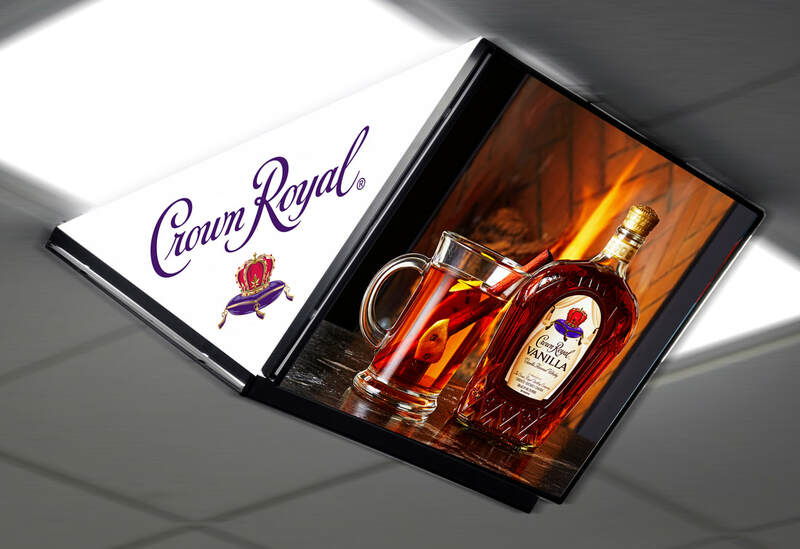 NOW, consumers will see your display as soon as they walk in the door. Light weight, less than 2 lbs, easy to assemble and install. 4 Earth Magnets, one in each corner, attach to metal ceiling strips. NO TOOLS NEEDED! PROMOTIONAL UPDATES ARE A BREEZE. Printed images slide in - slide out. With no maintenance costs each time the images update the cost per promotion comes down. New images can be rolled up and shipped in a packing tube. You’ll be amazed at the cost effectiveness and ROI of the Light Thief. CLAIM PRIME POSITION IN STORE AND DRIVE SALES FOR YOUR PRODUCTS. will look. All we need is a logo & copy points.